Steven Spielberg’s The BFG wasn’t really the smash-hit that Disney probably hoped it would be, but it definitely didn’t sour the studio’s opinion of adaptations based on Roald Dahl books. After all, something with a familiar title is a lot more valuable than some silly original idea, and nobody wants to pay money to see something they haven’t already heard of. Anyway, Deadline is reporting that Disney is in “early talks” with Skyfall director Sam Mendes to develop a new adaptation of Dahl’s James And The Giant Peach. This will be the second time Dahl’s book about has made it to the big-screen, but Deadline says this one will be live-action—presumably meaning that it won’t pull the same trick as the last movie’s combination of live-action bits and stop-motion stuff. For those who don’t recall the plot of the book, it’s about a kid (James) who lives with his evil aunts and dreams of escaping his miserable life. He gets a chance to do that when his aunts come to possess a giant peach that happens to be home to some friendly, talking bugs. 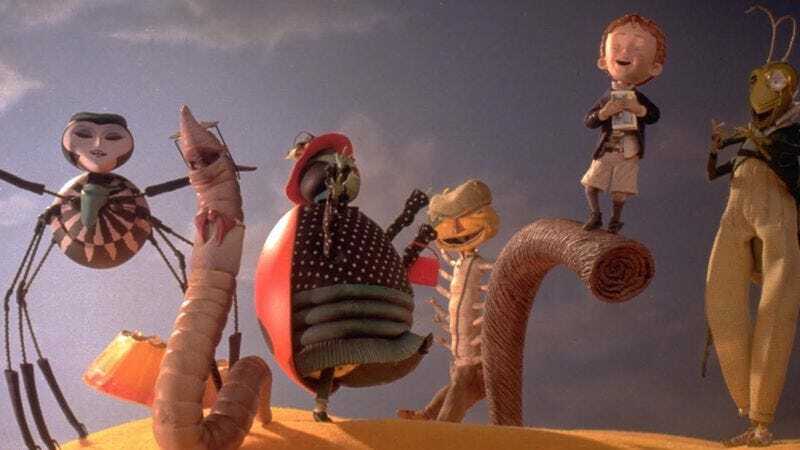 James and the bugs then take the peach on a magical journey to New York City, where they eventually settle down in a mansion made of the peach’s pit.